I’m not into surprises but this little caramel treat tucked inside a tender and sweet snickerdoodle is definitely one I can get behind. 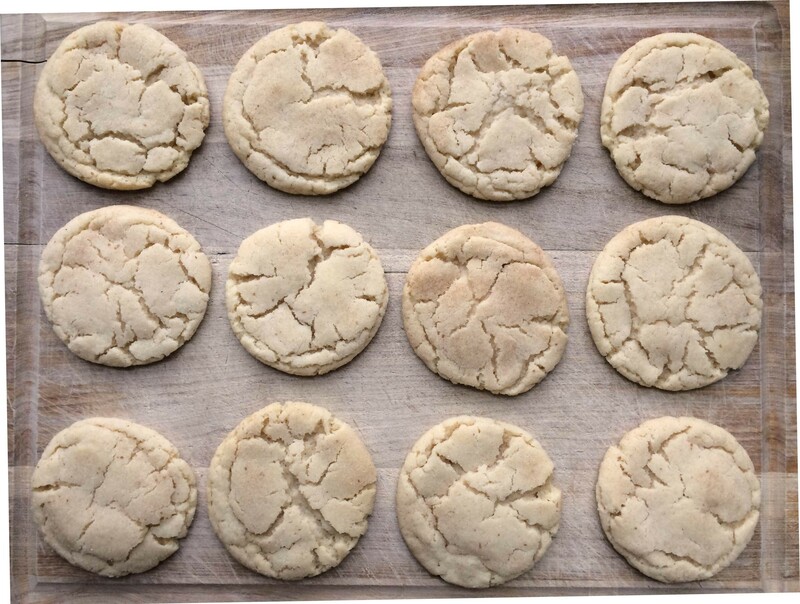 I was originally going to make a snickerdoodle “blondie” but a friend of mine proclaimed that was simply not “Fall enough”. And he was right. Cinnamon + caramel in baked good form = perfect Fall cookie. -I wish I had more aggressively put cinnamon in the cinnamon/sugar mixture. I did 0.25 cup sugar to two teaspoons cinnamon. You can choose your choice. 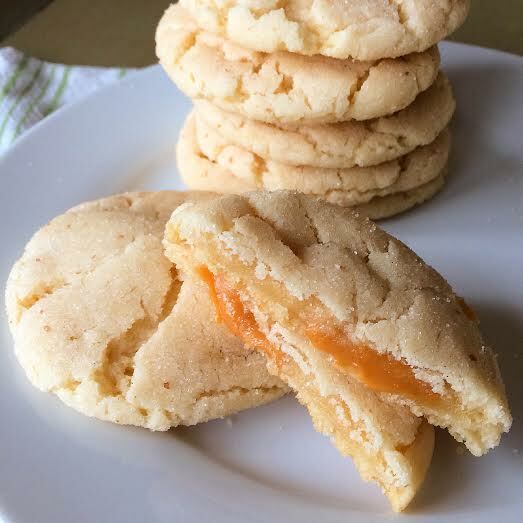 I also added a pinch of sea salt which was great on flavor but ended up making little bumps on the outside of the cookie which I didn’t love. -I cooked these for 11 minutes- they look very under-cooked out of the oven but will set and be nice/soft/chewy once they cool. -You can make your own caramel which is just sugar/water/cream. You could also buy a big block or just buy little individual caramels that you cut to fit the amount you want to put in each cookie. I would have liked to put a little more in mine but I was stressed the caramel would ooze out. The amount I used is about half the size of an individual caramel. 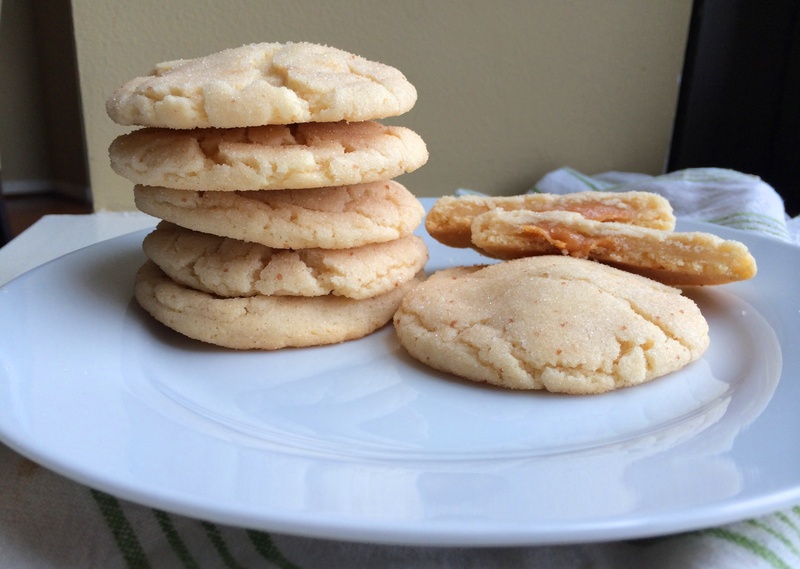 -You can use any snickerdoodle recipe you want. 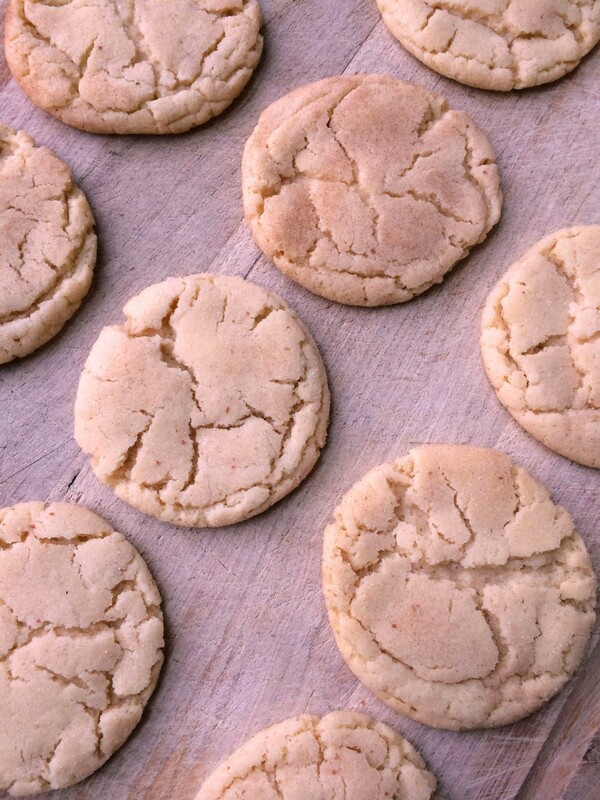 This one uses shortening which yields a softer cookie (butter will make it crispier). Beat the shortening and sugar till smooth. Beat in eggs until smooth (like you mean it). Beat in vanilla, cream of tartar, baking soda and salt. Slowly add flour until just combined (unless you want tough cookies). Place the cinnamon/sugar mixture on a plate. Using an ice cream scoop (or by hand), scoop out roughly two tablespoons of dough. While the dough is still in the scoop, shove a little piece of caramel in the center. Extract the dough from the scoop and smooth into a ball, hiding the caramel in the center. Roll in the cinnamon/sugar and place on a parchment lined baking sheet. Bake at 350 degrees F for 11 minutes (or until desired doneness). 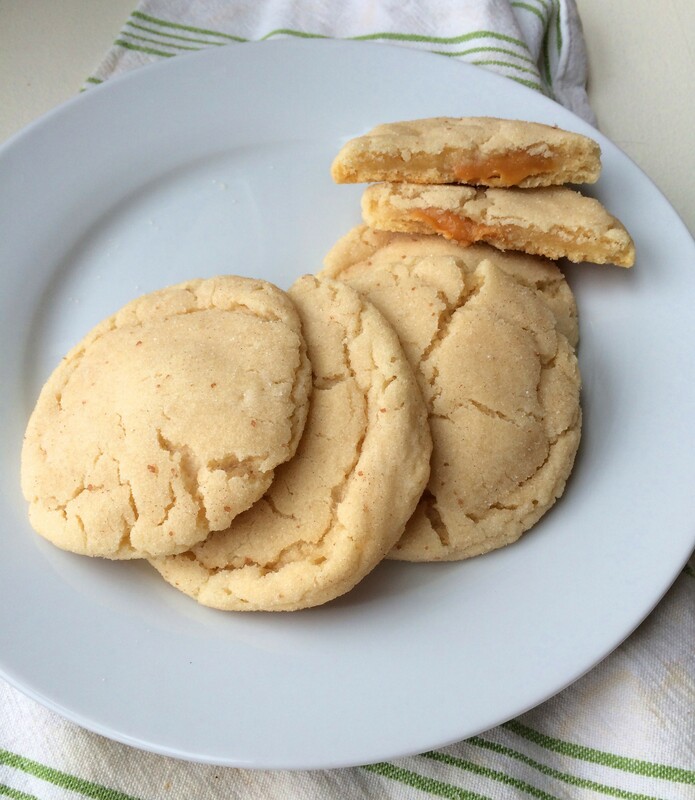 Let cool, the caramel will be gooey when the cookies are still slightly warm but will still taste like everything you ever wanted once cooled.